In this simple Flash tutorial, we will go through making a simple click-and-move-to-point game with OOP (Object Oriented Programming). 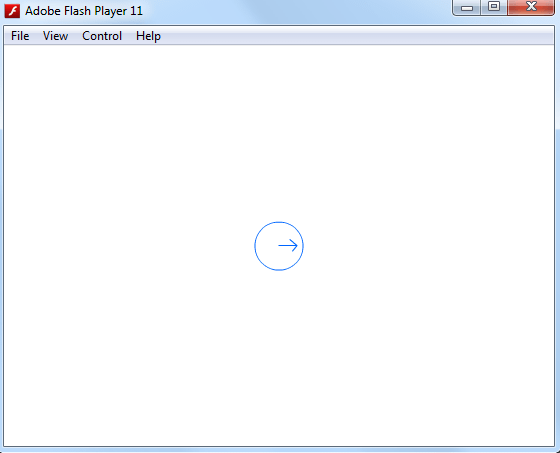 At least a basic knowledge of Flash Professional, Actionscript and Math is recommended. About the game. Click anywhere on the stage and make the character move to that point. The character will also follow that point. Link Main as the main class. * Draw a character. I drew a circle with an arrow to make it simple. * The arrow must be pointing to the right at 0 degrees rotation. Or if there’s no arrow, the character has to face the right at 0 degrees. 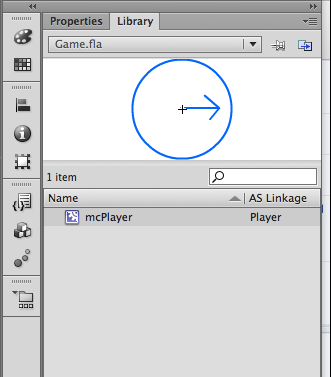 * Convert the character to a symbol and link it to the class Player. * Do not put the character on the stage, leave the stage empty. 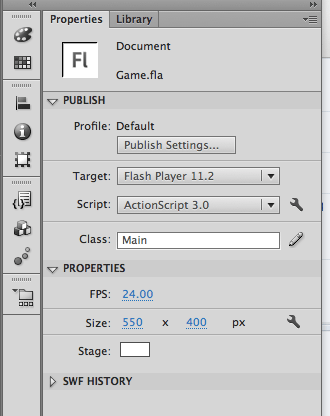 – Main extends Sprite, because there is no need for more frames in this example. – In the constructor (public function Main), we create a new instance of Player, add it to the stage and place it at the center of the stage. We also add event listeners for enter frame and clicking. – In the enterFrameHandler function, all we do is call the player instance’s enterFrameFunction function. – In the clickHandler function, we call the instance’s internal property setPoint with arguments mouseX, and mouseY. First we check if the distance between the player and the clicked point is greater than the SPEED constant. We do this using the MathFunction class’s static dist function, which we will cover later. If the distance is large enough, the rotation sets to point towards the clicked point using the MathFunction class’s static pointAtAngle function. The player’s x position gets altered by the cosine value of the player’s rotation multiplied by the SPEED constant. Same for the y position, except by the sine value. If the distance isn’t large enough, then the last few actions won’t happen. Instead the moving variable will be set to false and the player will stop moving. This is a public function and it sets the point of movement’s x and y axis locations. If that location is by any chance the same as the player’s current location, the player won’t start moving. Checks the distance between 2 points. Checks the angle between 2 locations. Arguments are not of type Point, but rather in the form of x1, y1, x2, y2. Converts a radian value to a regular angle value. Converts a regular angle value to a radian value. This class is reusable. Its functions are static and can be called without making an instance of the class.